they are being reproduced, but many beekeepers and those who understand their importance such as Critter Control of Southwest Florida are doing their best to make sure they are being protected. If you see bees around your home or property, it’s best to let a trained professional properly remove and relocate them. Some bees will make homes in your utility boxes, light fixtures, exterior furniture, and underneath eaves. Although bees aren’t looking for a target to sting while they are out working, they can become a nuisance when you are trying to enjoy sitting in your backyard or cleaning your car near the garage. Bees will also create their nests inside of trees and logs, undisturbed soil, and in sparse lawns where they can dig tunnels to lay eggs. With over 20,000 species of bees, it’s possible to find them making homes in many different places quite frequently. 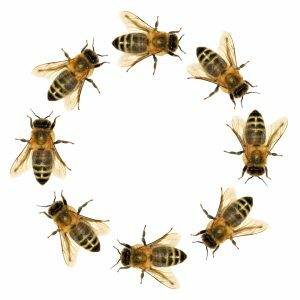 If you’ve noticed an abnormal amount of bees near your home or business, contact Critter Control of Southwest Florida for the safe and efficient removal of bees. The more bees get killed, future agriculture will be threatened. Try discouraging bees from getting too close to your home by removing flowers that attract them and sealing cracks in building exteriors, as well as treating any outdoor wood that’s been exposed. If you need a hive removed, contact us to relocate it instead of trying to knock it down or move it yourself. Call us today at 239-731-6255 or contact us through our website to receive more information or to schedule your free inspection.